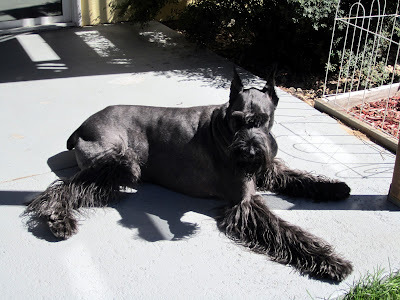 It's a nice day here in sunny Colorado, so the Boogie-Dog has been meandering in and out, enjoying the sun. Until he gets too hot, and then he demands to come back in for a snack. Ye Olde 2010 Flower Pr0n - San Diego Edition, Ar!